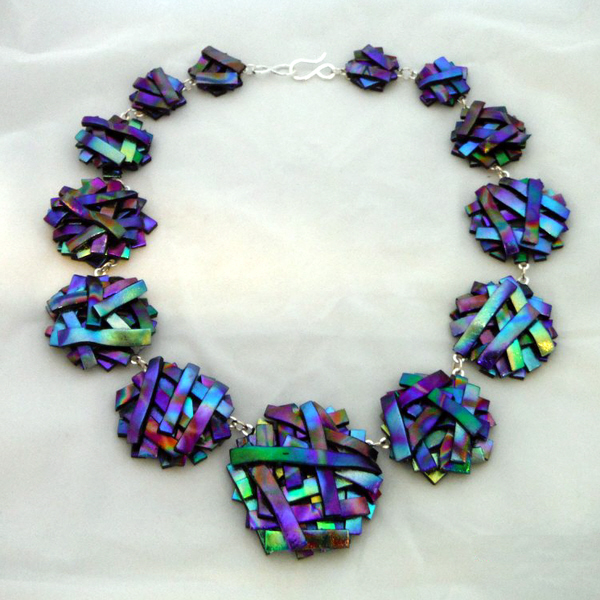 A stunning necklace made up of 13 bonfire clusters, made with beautiful peacock dichroic glass. This is a statement necklace, with a sterling-silver clasp, connected with silver-plated findings. Very unique, easy to wear and certainly has the WOW factor! !